A before election Facebook’s biggest shock to groups admins; removed thousands of members. I have 50k members, I have 45k and someone may have lakhs of members in their groups/community/closed or open groups on facebook. An admin often boasts of their member count strength and propagate messages, events, ads as per group strength in market. 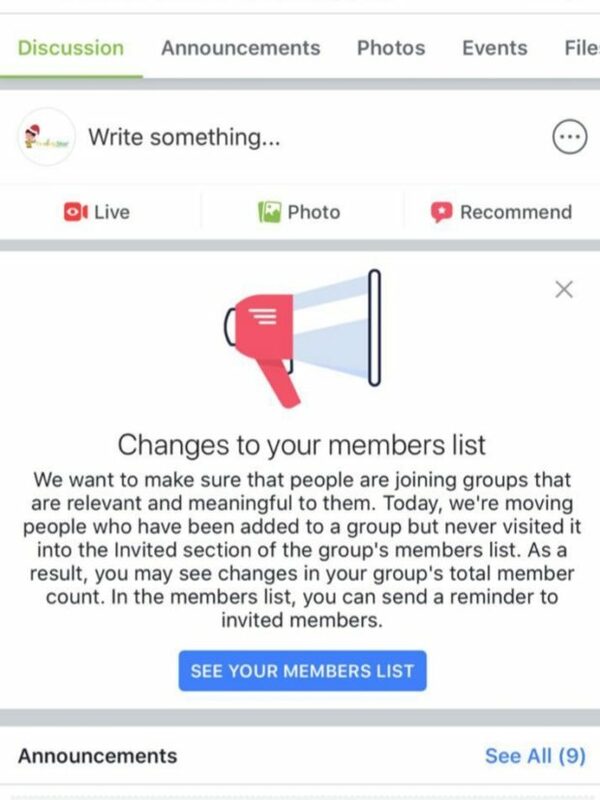 Today, first ever in a history of facebook, it has removed thousands of members from groups saying that these people have not visited their groups ever so it is removing them from group without any prior permission of admin who had tried and strived hard to create that strength in his or her group for the past so many years. Admins got shock of their life when they saw sudden count down in their members count that too in thousands. They can’t help it but to mourn on this. Earlier facebook used to do unlike in Facebook Pages which admin often had yelled over. Many admins has a point to say that firstly when they put their page on promotion then facebook give them fake likes and after sometimes removes those likes on which they already had paid off. As per sources, facebook started having eye on fake account holders. Before the elections 2019, facebook wants to clear the air of social media envies who often create nuisance on the name of numbers. While talking to one of the parenting group admin she said, “I woke up in morning and got to know my more than 13000 members are out of my Facebook group. Facebook sent me notification on this that these people have never visited my group. I was shocked as in social media market whole game revolves on members count. This is unfair at the part of facebook.